Here a little preview of the TRUKFIT new arrivals for the Fall 2012. Lil Wayne's skater clothing line still got that SWAG. The Feelin' Spacey crewneck sweatshirt from TRUKFIT features custom Martian dude straight out the UFO ready to phone home or hit up a skate spot. Let's hear it for those who feel a little out of this world! The crewneck graphic includes Feelin' Spacey banner, "TRUK THE WURL" below. 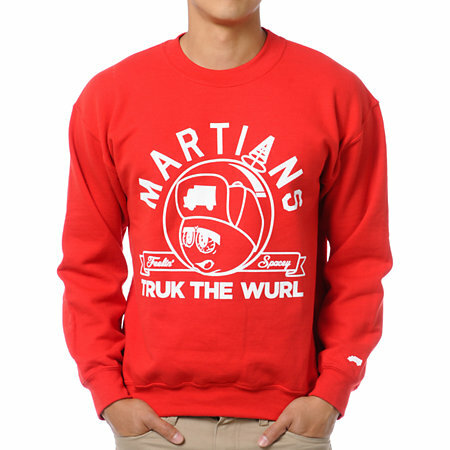 The Trukfit Feelin' Spacey crewneck is a standard fit crewneck sweatshirt in red. In the words of Lil Wayne, Fear None and Respect Few. 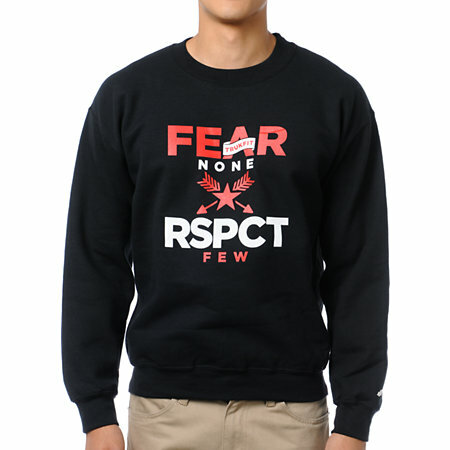 The Fear None crew neck sweatshirt from Trukfit has a star and arrows graphic with "fear none, rspct few". 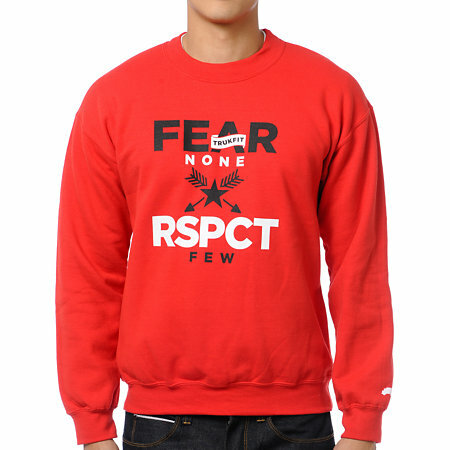 Featuring an all red body and long sleeves, the Fear None pullover crew neck will have you standing tall and respecting thy self. 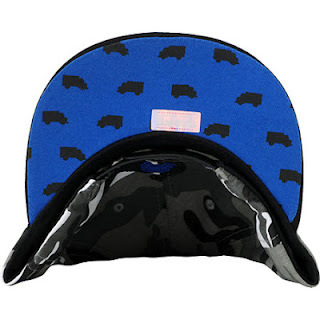 Its also available in black, as pictured below. The Trukfit camo snapback is a dope camo hat with some blue highlights to stand out from the ferns. 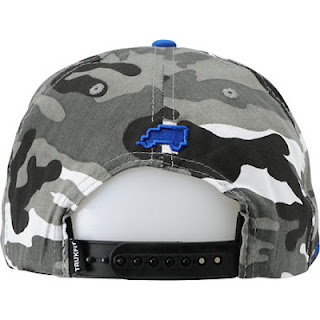 Featuring a blue Trukfit script embroidered on the front and a "Truck da Wurl" blue embroidery on the right side. The bottom of the bill is blue and has black Truk logos on the under side. 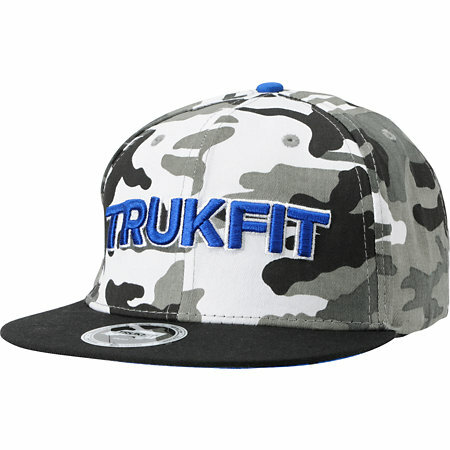 The snapback adjustment is black, so hide in plain sight with the Trukfit grey camouflage snapback hat. 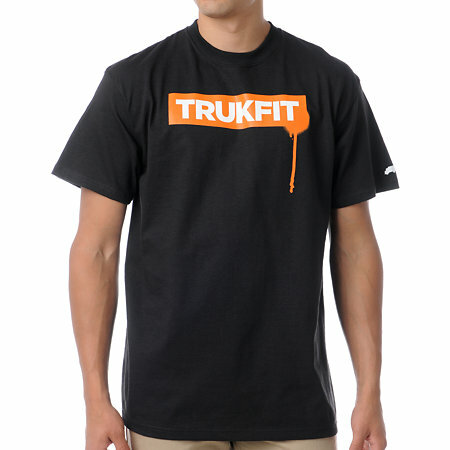 The Original Drip tee shirt from Trukfit featuring a standard guys fit with a crew neck and short sleeves. 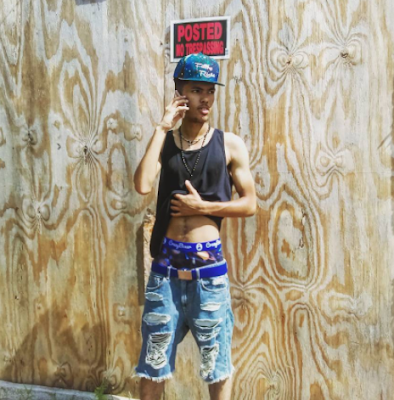 This neon green all cotton tee shirt has a black and white Trukfit label with spray painted drip on the front and a white Trukfit logo on the left sleeve. Clean, simple, and dripping with swag, the Original Drip tee shirt from Trukfit. 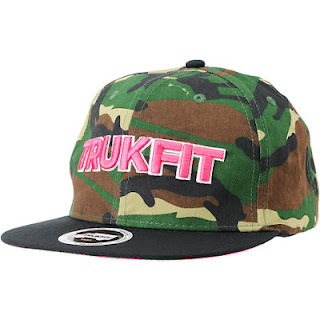 We also love this camo and pink Trukfit snapback. 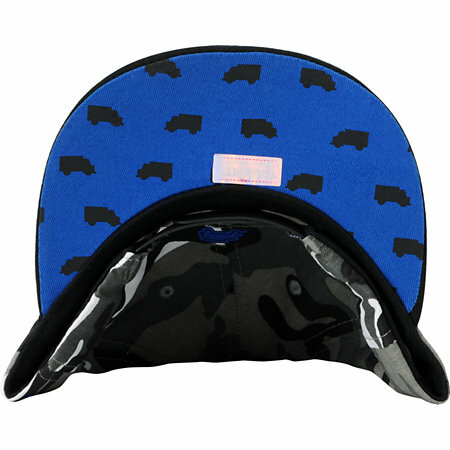 The Trukfit Culture woodland camo snapback is a great camo hat with some pink highlights to stand out from the ferns. Featuring a pink Trukfit script embroidered on the front and a "Truck da Wurl" white embroidery on the right side. The bottom of the bill is pink and has a white and black Truk and crossbones graphic. 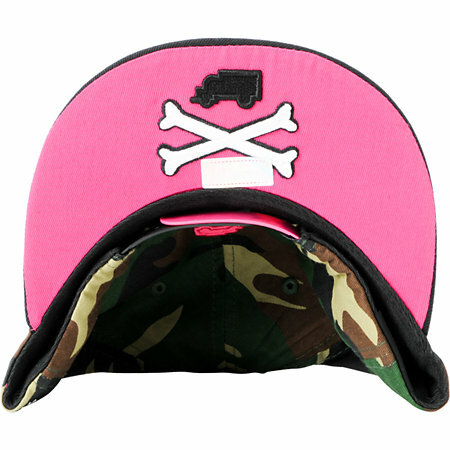 The snapback adjustment are pink and black. Hid in plain sight with the Trukfit Culture woodland camo snapback hat.